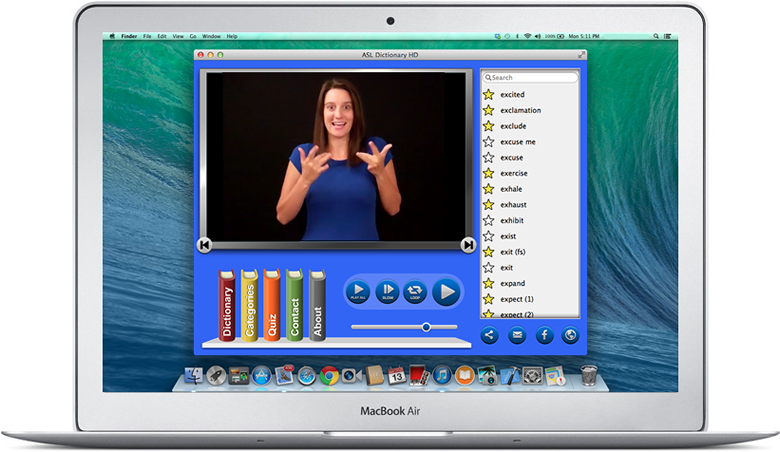 Now you can use our ASL Dictionary HD App right on your Mac. Available on the Mac App Store. All the latest features and the same great ASL videos.